Hendry Marine Acquires Anchor Sandblasting and Painting, Inc.
TAMPA, Fla. (May 31, 2017) – Hendry Marine Industries, Inc. (HMI) has acquired Anchor Sandblasting and Painting, Inc., one of Tampa’s leading surface preparation and preservation companies. HMI is buying the company to continue expanding quality and efficient services for its customers, which will now include sandblasting, painting and other surface preparation and preservation services. The company will operate under the name Anchor Sandblasting and Coatings, LLC., and can be contacted through HMI. 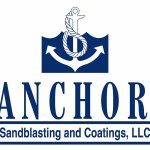 Anchor Sandblasting and Paintings, Inc., was founded in 2000 to offer sandblasting, pressure washing and painting to maritime industry clients throughout the southeast. HMI’s purchase of Anchor is effective May 15, 2017. Terms are not being disclosed, but all of Anchor’s 56 employees will become employees of HMI. In addition to the acquisition of Anchor, HMI recently created a new business development team, which will set and implement company strategy and develop new business. The business development team is one of the first in the ship repair industry and is designed to reflect the company’s commitment to engaging and maintaining a world class ship repair work force. HMI offers vessel owners a one-stop shop for quality, efficient, and innovative ship repair. In addition to ship repair services, the shipyard offers maritime remediation and gas-freeing services through its affiliate, Universal Environmental Solutions, allowing vessels to conveniently undergo all services at one location.